Past District Governors all told me the best part of a District Governor’s responsibility is the club visits. I can testify that statement is accurate. I have thoroughly enjoyed getting to know Rotarians in our district and learning about what each club is doing to make a difference this Rotary year. I sincerely appreciate how EVERY club has made me feel like I am one of their own. One problem…This is going way too fast! I have the nerve to serve. 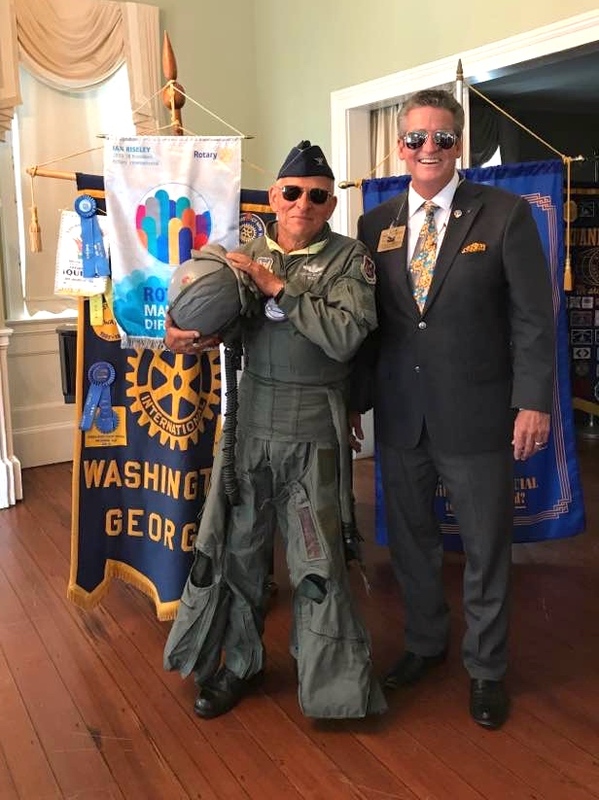 Clubs that have participated in promoting the Top Guns of Rotary District Conference in Charleston, SC certainly do have the nerve to serve. 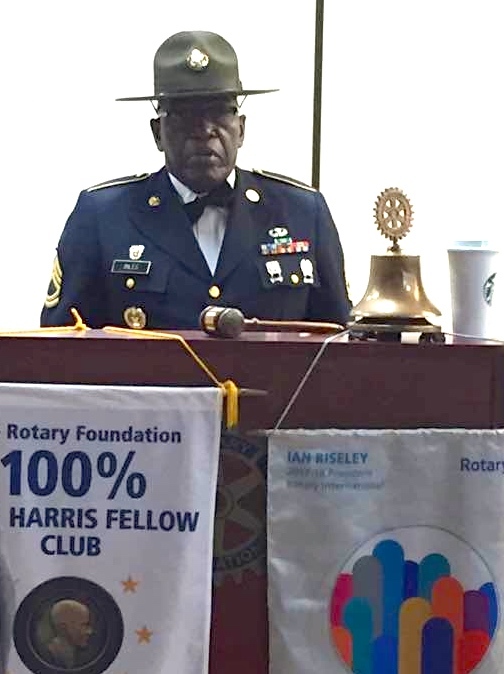 The Rotary Club of Jasper was especially creative with their video rendition of The Battle Hymn of the Republic – Glory, glory, hallelujah. Peachtree Corners members were wearing name badges with hilarious call signs on the badges. Gwinnett Sunrise, LaFayette and Covington all had creative displays. Thomson ran an entertaining video loop with music during the socializing part of the meeting. Columbia County West brought in an actual drill sergeant to encourage us to attend the conference. I know why this guy is a drill sergeant! Columbia County were all lined up and wearing aviators as I walked in the room. Top gun music played while we were enjoying breakfast. Washington thought I should be introduced to the REAL deal when club President Boz walked out in full flight gear. All have been posted to Facebook..I am looking forward visiting the next club having fun and promoting the 2018 district conference. District Governor David "Coop" Cooper enjoying a visit at Rotary Club of Martinez-Evans. 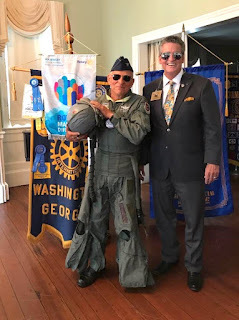 Rotary Club of Columbia County West brought in an actual Drill Sergeant to promote the 2018 'Top Gun' District Conference in Charleston SC. Rotary Club of Washington's Club President Terry "Boz" Boswell in full flight gear promoting District Conference. 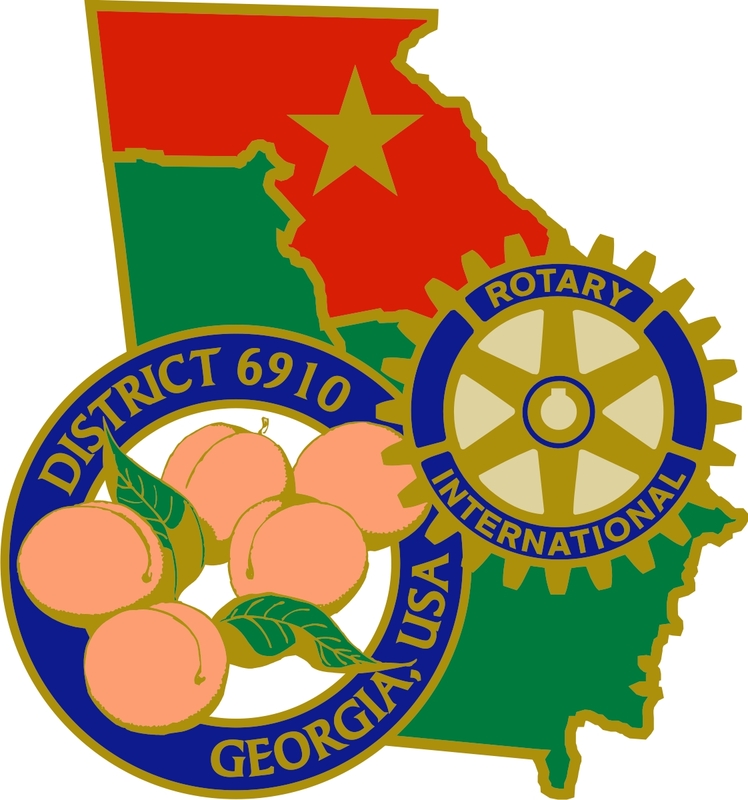 Saturday, August 12, we will hold the first District 6910 Rotary University. This is a perfect opportunity to help your newer members get more acquainted with Rotary. You can fully expect fresh information will be shared in a creative and interesting fashion. We promise not to disappoint those wanting to bring new ideas back to their clubs. Please register now so that we can plan for the proper amount of seating and food. Register here. Now that you are smiling, go invite someone to Rotary. August is Membership and Extension month. Share Rotary with someone that will make as good of a Rotarian as you. If you have never sponsored a new member then please do so before you lose your teeth. Great update. Like the sharing of what other clubs are doing. 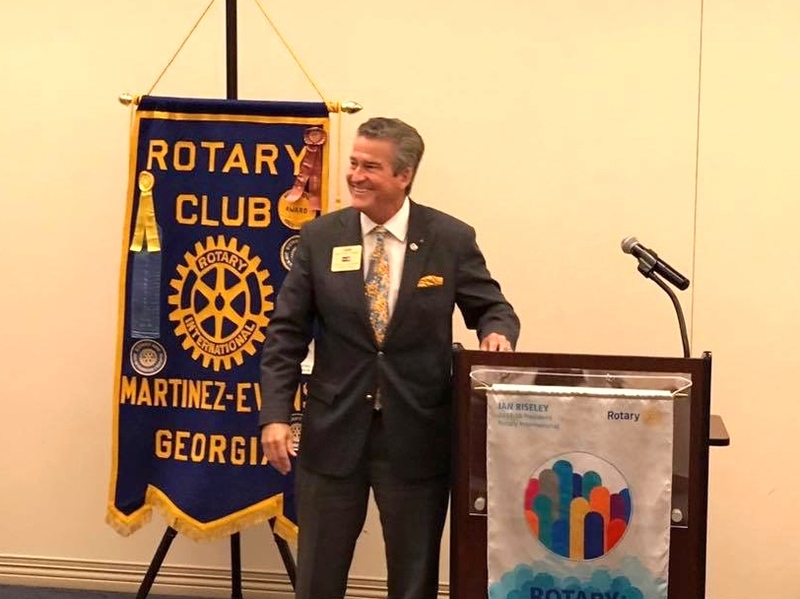 Looking forward to your visit to Sunrise Rotary, Dahlonega. We enjoyed your visit DG Coop. Thanks for adding to our speaker archive. Have a great year!